The inquiry into the Grenfell Tower fire has opened, with its chairman promising it will provide answers to how the disaster could have happened in 21st century London. 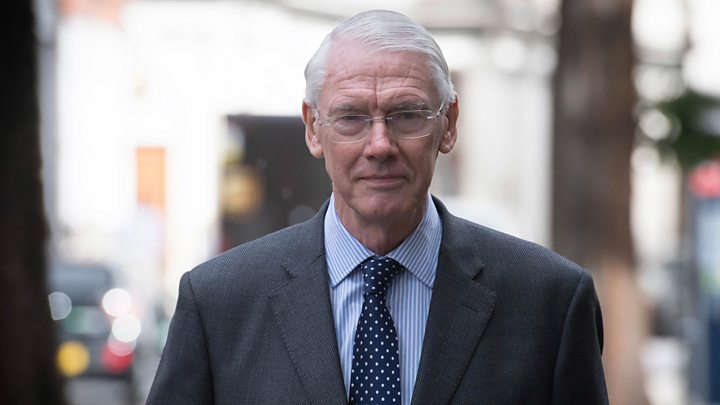 Sir Martin Moore-Bick said he would not shrink away from making recommendations that could lead to prosecutions. But he has faced criticism for refusing to appoint a survivor to the inquiry panel. Grenfell survivors say they still feel like they "have not been listened to". Sir Martin told the hearing that the blaze on 14 June - in which at least 80 people died - was a "tragedy unprecedented in modern times". "We are acutely aware that so many people died and that many of those who survived have been severely affected," he said. "We are also conscious that many have lost everything. "The inquiry cannot undo any of that, but it can and will provide answers to how a disaster of this kind could happen in 21st Century London." Sir Martin told the hearing he recognised the "great sense of anger and betrayal" felt by those affected by the blaze and would examine evidence "calmly and rationally". But he rejected calls from survivors to appoint a person from the Grenfell community to the inquiry panel, saying it would "risk undermining impartiality". No evidence was heard on the first day of the hearing, held at the Grand Connaught Rooms in central London, and the former Court of Appeal judge did not take any questions afterwards. This prompted heckling at the end of the hearing after Sir Martin appeared to ignore Michael Mansfield QC, who is representing many of the survivors and attempted to address him. Solicitor Jhangir Mahmood, who is representing several families, said there was a "huge level of mistrust" among survivors who do not believe "they have been listened to". "He (Sir Martin) really needs to take that on board. Today wasn't an example of him listening. "Today was simply him laying down the rule book about how he wants to conduct the inquiry." Hamid, who lived on the 16th floor of Grenfell Tower, was also not satisfied with the first day of the hearing. "We are waiting for the answers," he said. "We just want to ask some questions but no chance. That didn't happen." Joe Delaney, who was evacuated from his flat close to the tower, said the investigation into how the fire started was "not the only question" that needed answering. "The bigger question here would be why were concerns that were raised ignored? "Why is he (Sir Martin) already trying to pre-empt the behaviour of legal representatives and force them to work together?" He went on: "Sadly now I feel more cautious than optimistic." The inquiry's first hearing opened with a minute's silence for the victims. Some survivors and victims' families gathered in Notting Hill Methodist Church to watch Sir Martin's opening statement live on a screen. A silent march is planned for later on Thursday at the church. Unlike Sir Martin Moore-Bick's previous public appearances - when he was heckled by people who survived the fire or lived near the tower - his opening statement was heard in silence by Grenfell residents and the bereaved. But there's still a lack of trust among local people of a process launched this morning at the lavish Grand Connaught Rooms. They described Sir Martin as an establishment figure presiding over a public inquiry surrounded by gold leaf. Outside, the inquiry's critics told us they were angry at his decision not to appoint survivors as part of a team of assessors who will advise him. The judge says that could damage his impartiality. Sir Martin's speech focused on his strategy for keeping what could be become a mammoth inquiry on the rails - this includes splitting it into two phases. The second, which looks at how the refurbished tower ended up a potential death-trap, could be the more complicated. Sir Martin said the reasoning behind decisions about the tower's management will be a key area of investigation. It is likely to look at whether cost-cutting led to to fatalities in Britain's worst ever tower-block fire. Sir Martin said the inquiry would be split into two phases - with the first examining how the blaze developed and the second looking at how the building became so exposed to the risk of a major fire. He said there was an "urgent need" to conduct phase one to find out what parts of the tower's design and construction played a role in allowing the disaster to happen. "That's important because if there are similar defects in other high-rise buildings, steps must be taken quickly to ensure those who live in them are kept safe." The fire started in a fridge freezer and spread quickly through the 24-storey tower block in North Kensington, in the early hours of 14 June. In August it was announced that the actions of Kensington and Chelsea Council, which operated the block, were to be examined by the inquiry. The council was criticised for its immediate response to the fire, which led former leader Nick Paget-Brown to resign. Labour MP for Kensington Emma Dent Coad said she feared that some questions would remain unanswered. "Why this has all happened, how was this allowed to happen and how the council was sitting on a third of a billion pounds worth of reserves and saved £100,000 on the cladding, all of those issues, will they be answered?" Downing Street said it was confident the inquiry "will get to the truth of what happened and learn the lessons to stop a similar catastrophe happening in the future". An interim report is expected by Easter.